Freida Pinto never fails to impress us with her sense of style, and her latest outfit is no different. 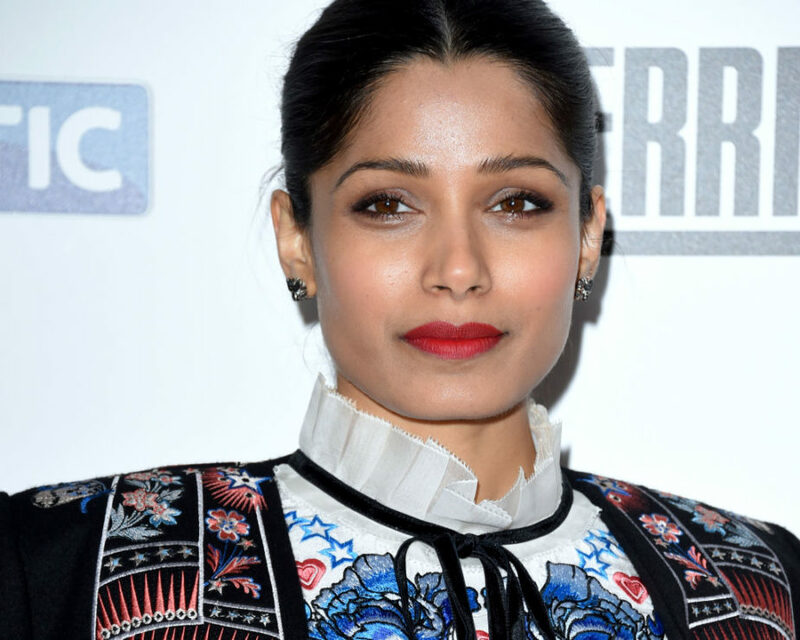 The other day, Freida Pinto transformed classic colors into a look that’s anything but boring. Of course, Pinto’s impeccable fashion looks have been in the news before, as InStyle reported. This time, she was all dressed up for the Los Angeles LGBT Center’s “An Evening With Women” event at the Hollywood Palladium on May 13th. Of course, no matter what colors the actress wears — from a yellow gown Pinto wore to the 2017 Film Independent Spirit Awards to a pink pantsuit she wore last month to Showtime’s Guerrilla FYC Event — she looks ahhhh-mazing. Now, however, let’s take a look at her ever-stylish outfit from May 13th’s event. W-o-w, right?! And here’s a closer look. Although we know that some people would not mix navy blue with black and white, we LOVE that she did. We’re sure you agree — she rocked the look. Again, none of us should be surprised! While we wait to see what #GlamGoals Pinto gives us next, we’re going to go shopping right now to get some inspiration. Brb!